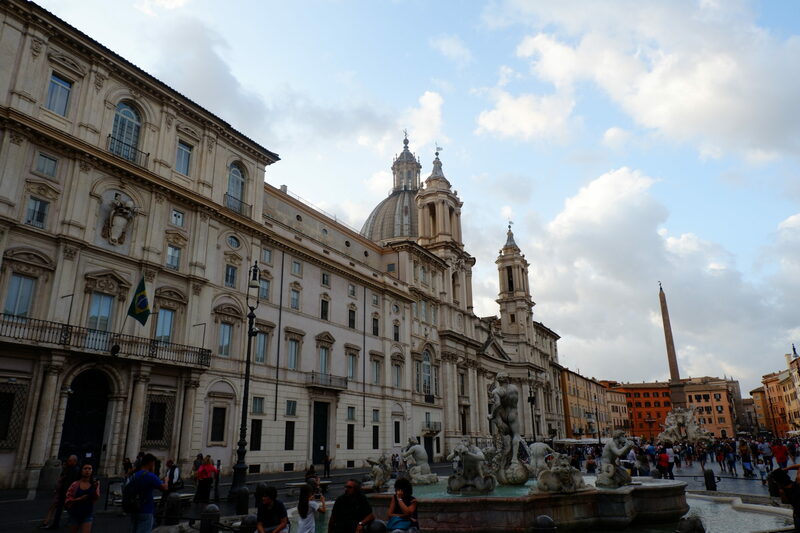 I visited Rome almost 10 years ago during a trip around Europe, and although I marvelled at the Colosseum and Pantheon, threw a coin in the Trevi Fountain and sat on the Spanish steps, I didn't really feel like i'd seen the real Rome. Returning this time I was determined to explore some of the less touristy areas of the city and stay clear of the crowds and selfie-sticks. 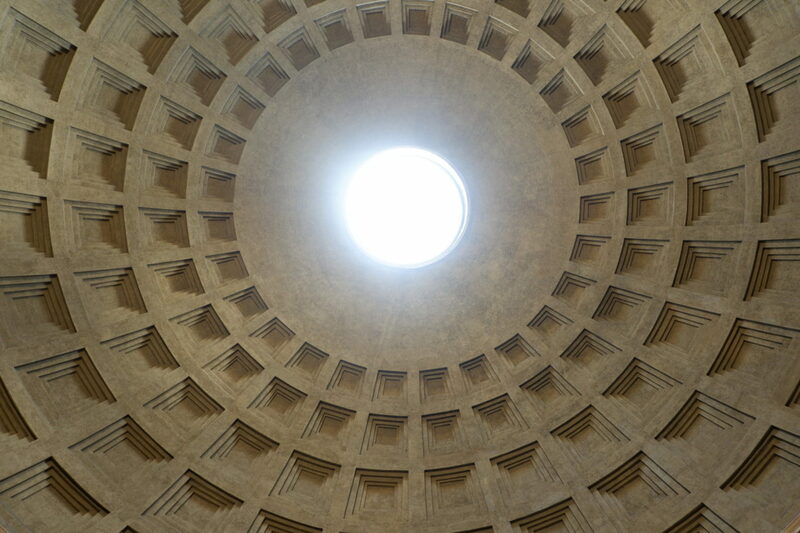 Saying that, I did visit the Colosseum and the Pantheon again. Mainly because Shaun had never been to Rome and both of those are definitely you-have-to-see-it-to-believe-it, but also because I just bloody love Gladiator. 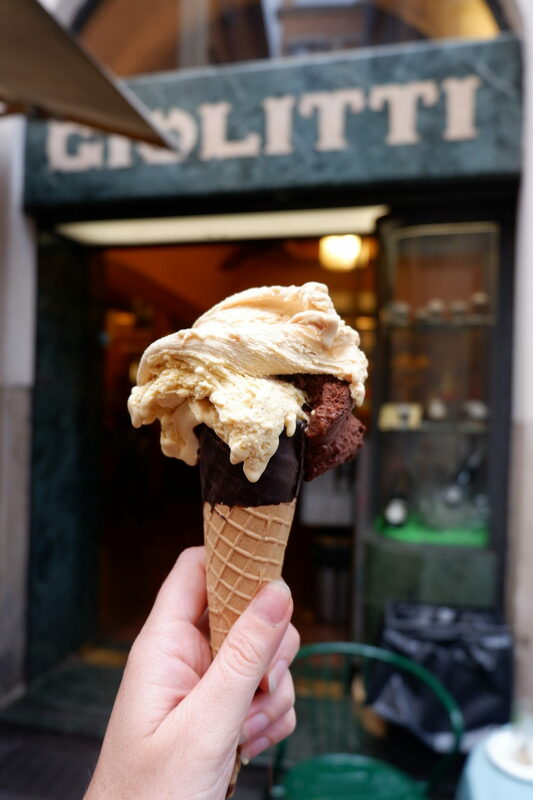 Other than that I had lots of recommendations and a loose list of areas to visit so we spent the rest of the time sampling all the delicious goods Rome has to offer. As the Italians say "mangiare per vivere e non vivere per mangiare" - eat to live, don’t live to eat! First off, lets talk about Pizza. 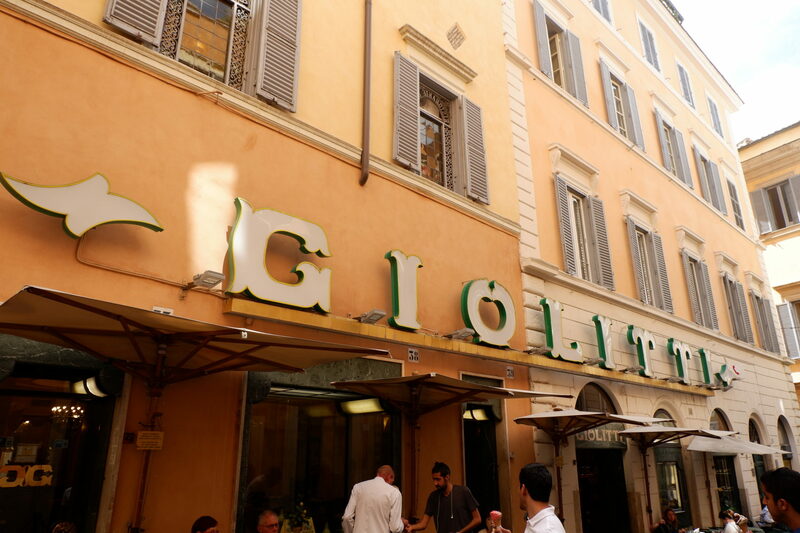 You can't go to Rome without having some, but I kid you not it's actually really easy to have bad pizza in Rome. If you want to get it right, like we did, then you have to check out Da Buffetto. It's a typical old fashion pizzeria that looks like it hasn't changed it's decor in 50 years. Depending what time of day you visit, and what time of year, you'll probably have to queue. But don't let that put you off as this place is worth the wait. You are ushered in by a brusk Italian man who speaks very little english and presented with a plastic menu that has seen better days. The chef who you can see making the pizza has a voice that sounds like he smokes 50 a day, think Marlon Brando in the Godfather, but its all part of the charm and the pizza is totally amazing. Really thin crisp base and no scrimping on the toppings, mine had rocket, huge shavings of parmesan and thick slices of Bresaola ham - delizioso! 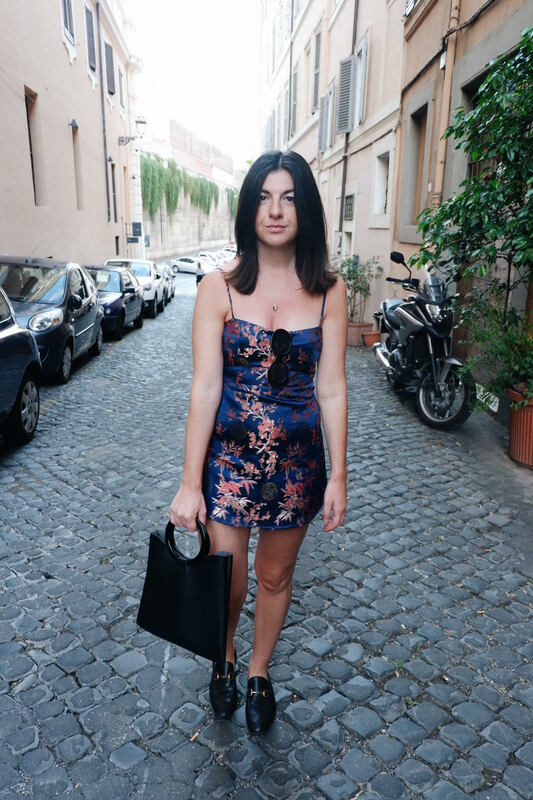 We spent a day wondering around Trastevere and I would fully recommend it. Its a really cool, bohemian area of the city with loads of cool places to eat, drink and shop. 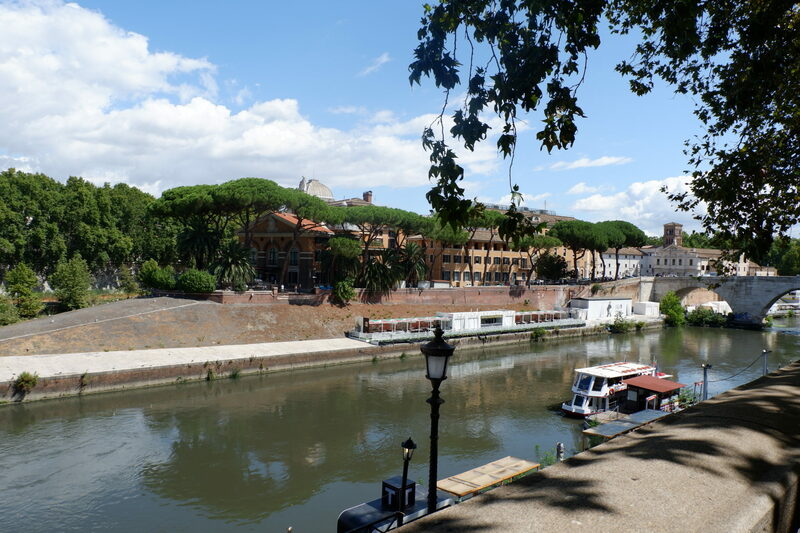 On the way there we walked across to Isola Tiberino (Tiber Island) which is situated in the middle of the Tiber river. 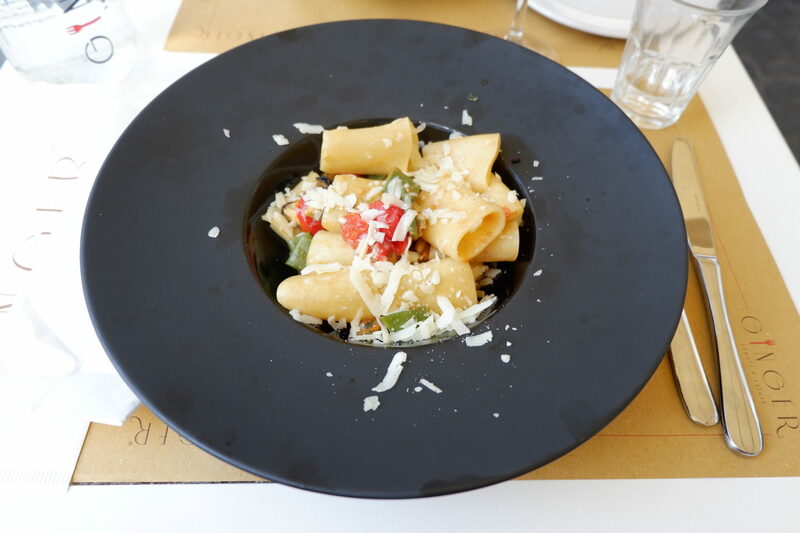 On it you'll find a church square with a quaint little restaurant with a perfect people watching terrace and even more perfect pasta dishes. 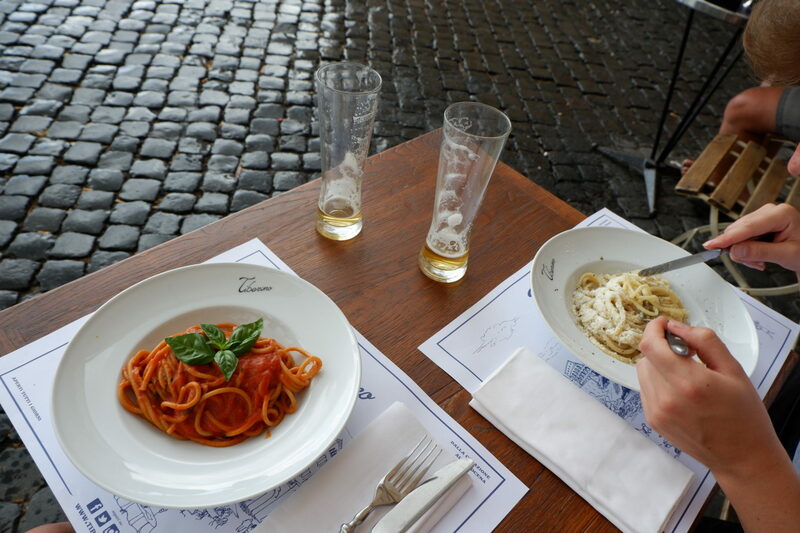 We enjoyed two plates of deliciously aldente pasta washed down by some Italian bier in the sunshine. As its namesake suggests, Ginger is bringing a healthy, modern edge to Italian cooking. 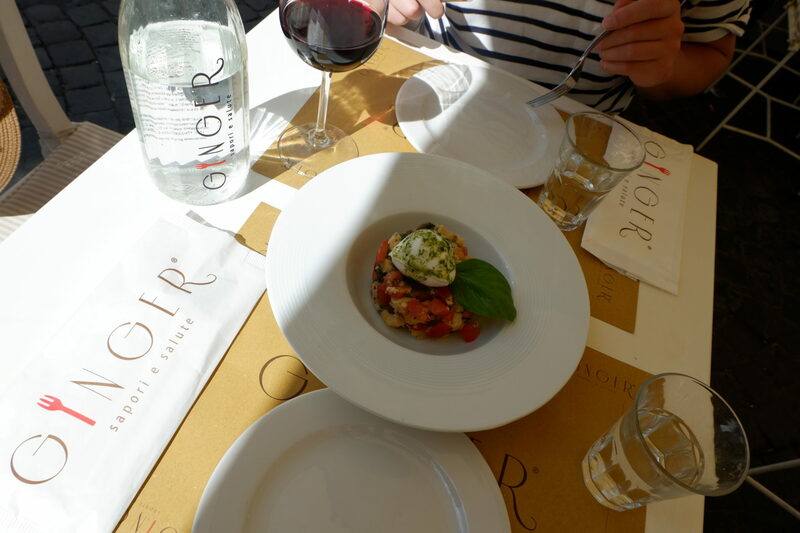 In Rome (and Italy in general) the cooking is very traditional, and albeit delicious you don't find many places trying new things, which is whats so refreshing about Ginger. We had lunch here on our second last day, Shaun had done some research before we went (research entirely centred around food obvs) and had come across this place. 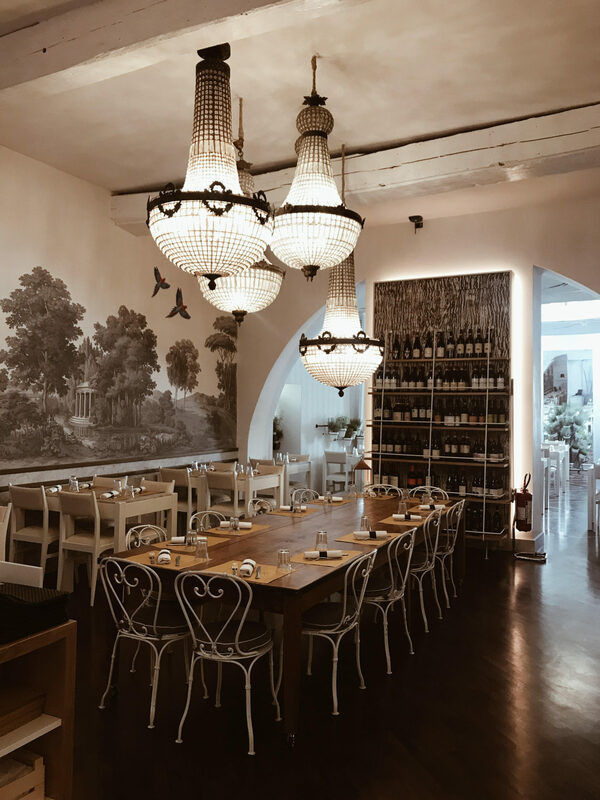 The decor was clean, crisp and modern; exposed brick, white walls, lots of light and amazing chandeliers hanging from tall ceilings. The food matched up to the trendy decor. 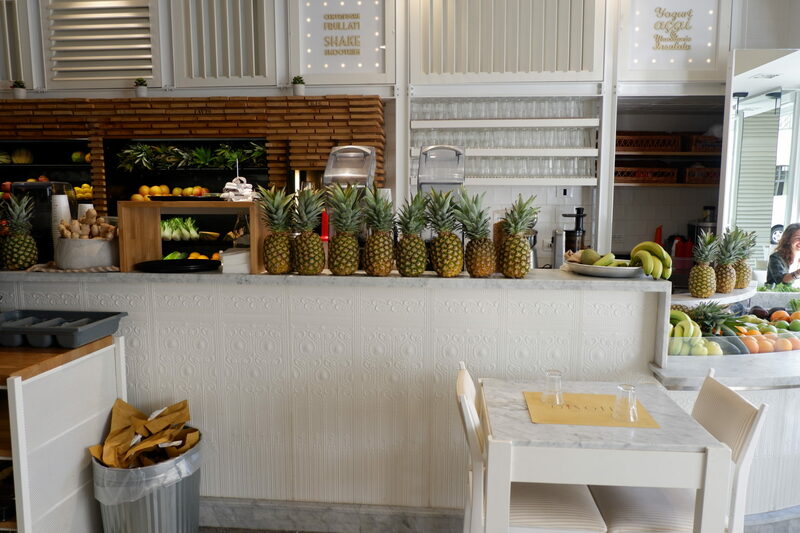 Fresh organic ingredients fused with traditional Italian cooking to create delicious salads, pastas and smoothies. Their signature dish is a "steamer baskets" which comprises slowly steamed fish/chicken or radish "meatballs" on a bed of black/red rice or quiona accompaid by beetroot, avocado and all the good stuff. It's healthy and delicious in equal portions. 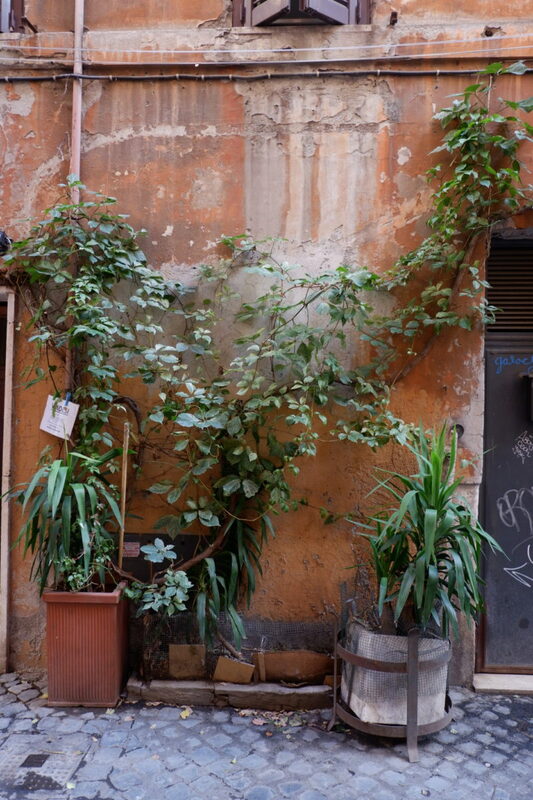 You'll find Ginger smack bang in the middle of Rome, just off Via Del Corso. 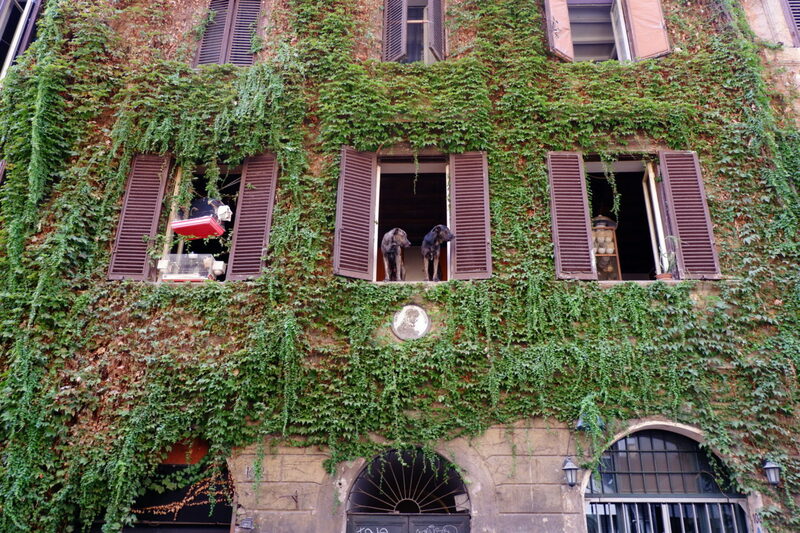 If you put one thing from this post on your list for Rome - let it be to visit Monti. 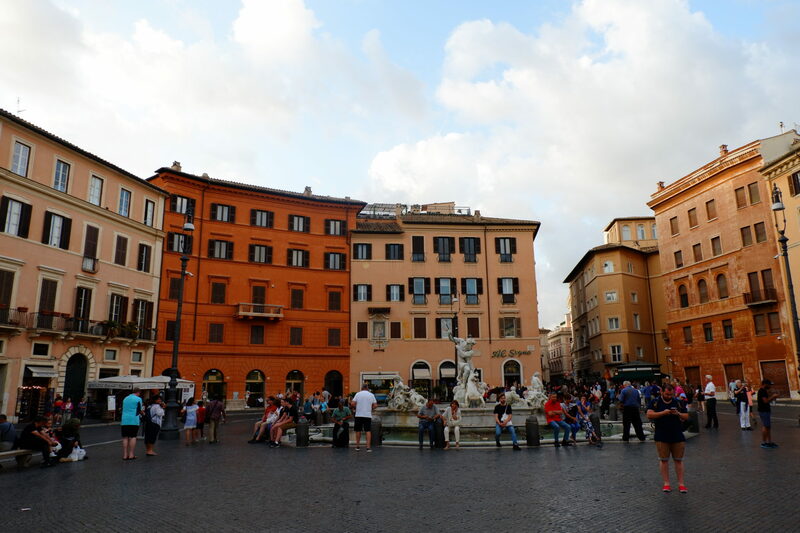 An area tucked between the Trevi Fountain and the Colosseum it is often bypassed by tourists on the usual sight seeing trail. Its an eclectic area filled with vintage shops, wine bars and lovely little side streets dotted with boutique shops and bakeries. 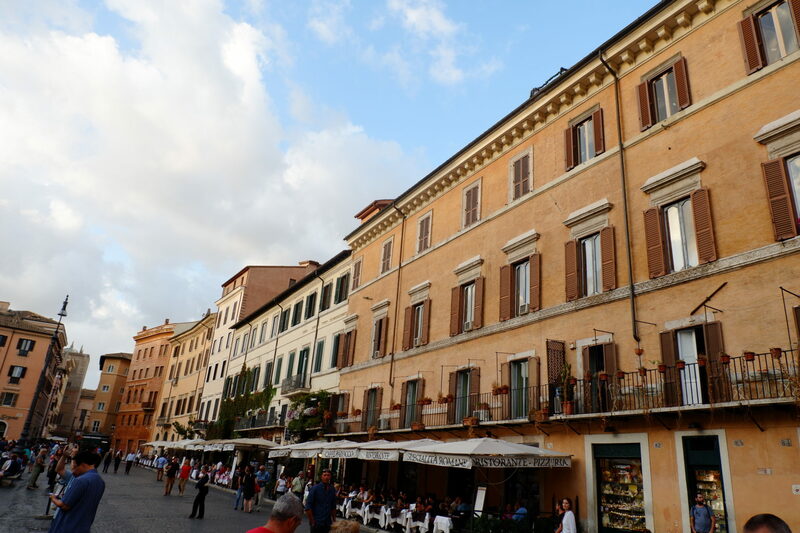 Its got a village feel and seems a lot calmer than the bustling touristy areas of Rome. 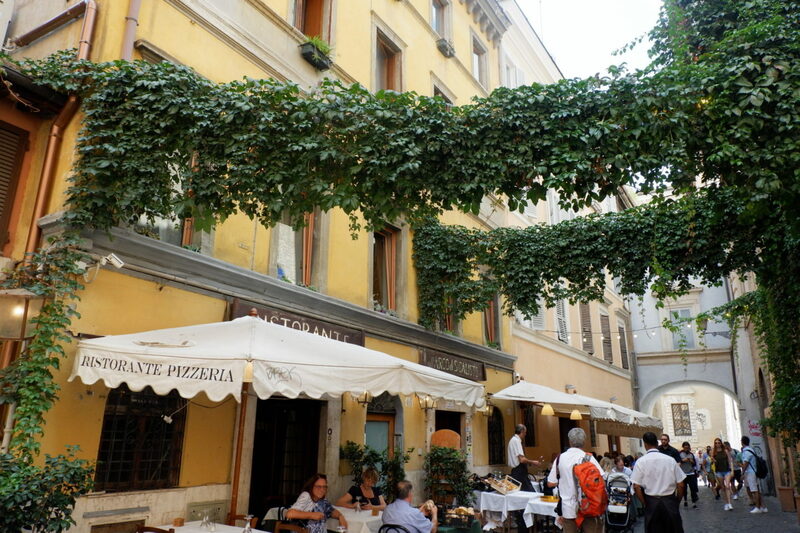 On one of the main streets off Piazza della Madonna dei Moni (the square and main hub of Moni) you'll find a very legit joint called Pizzeria Boccaccia, its a bakery style set up with a counter full of different kinds of freshly baked pizza slices. They'll cut you as many slices you like, warm them up in the pizza oven whilst you grab some cold beers out of the little fridge... aka absolute perfection. 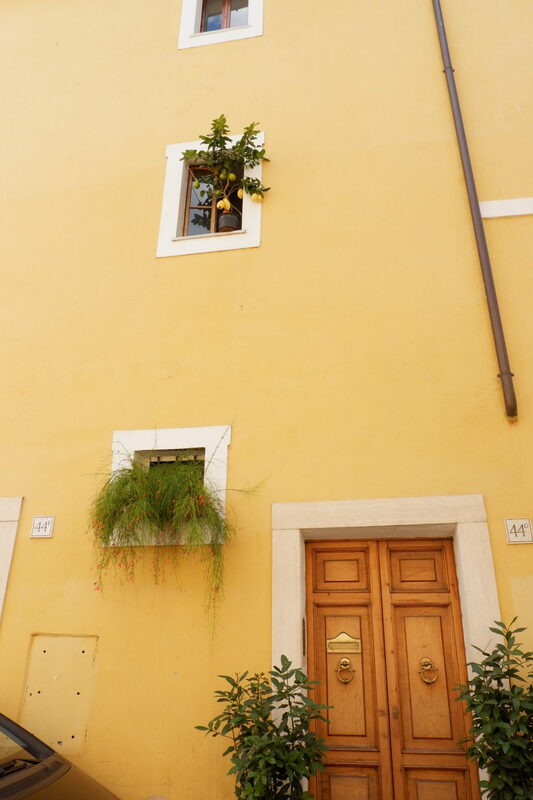 Monti is also the place for any vintage lovers, there are lots of thrift shops, independent stores and even an indoor pop-up style market filled with fashion and art stalls. 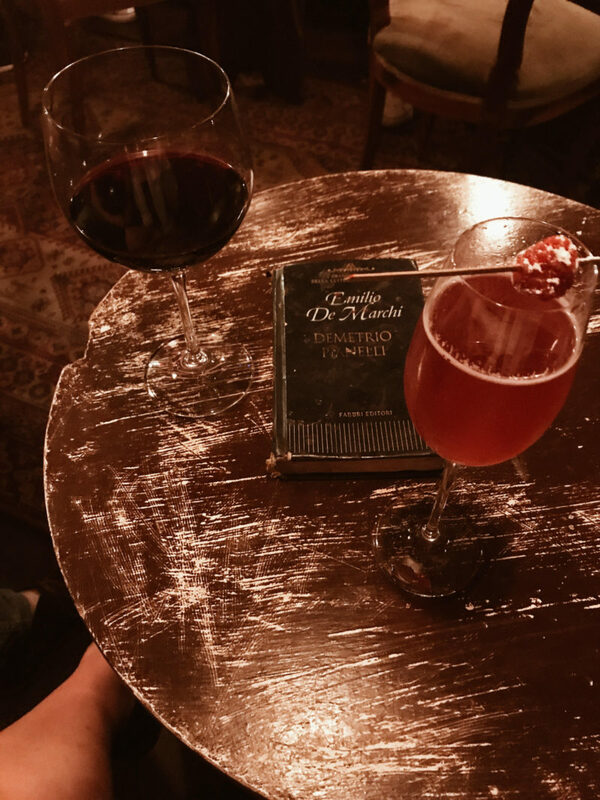 Another highlight of Monti was Black Market Cocktail bar. 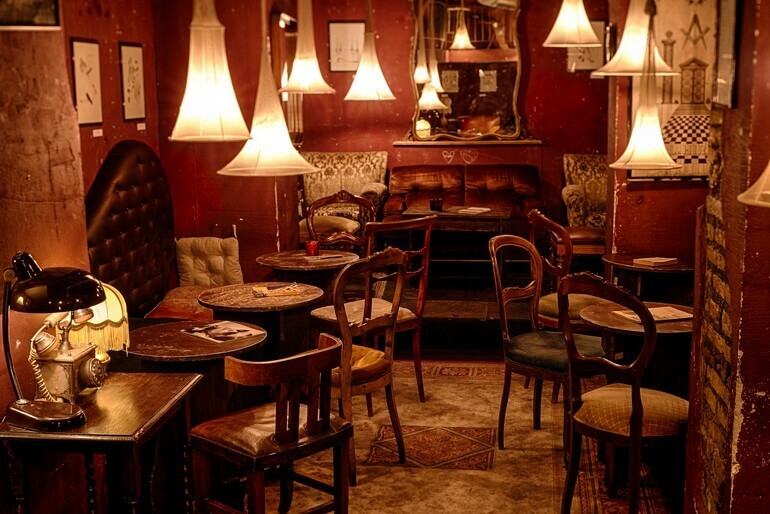 This is a cosy, retro style bar which serves up really delicious cocktails and even nicer food. Think a 1950s living room set up, with quirky mismatched chairs, leather sofas, vintage mirror and eclectic wall decor. I could have eaten everything on the menu; they have a whole section dedicated to bruschetta! Think crispy bread topped with Italian mozzarella, homemade pesto, mortadella and taleggio. Molto bene!